Yeah... You're probably right. 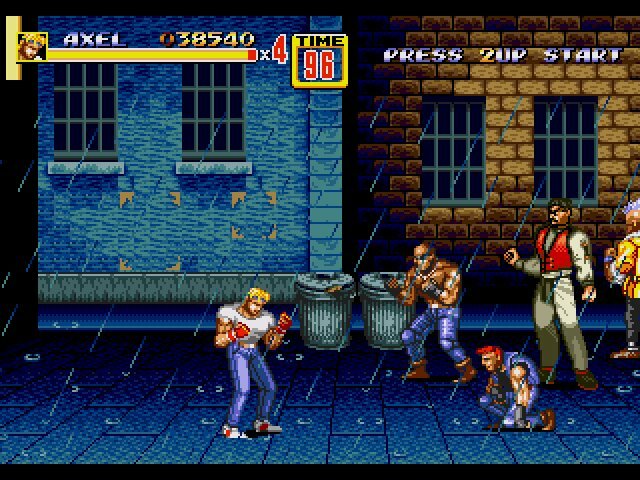 The original idea was that the player must keep moving constantly... Like in a side scrolling beat-em-up. But perhaps that just makes it too hard. Thanks for providing the feedback though. I may revise this in a later version. Yeah I can see where you were going with that. The problem is that the game isn't just a side-scroller, You can move vertically too so you need to be able to swing that way. Other than that it was really good. If you can change that a little I think it will do well. I actually thought that was a feature?? The flying enemies can't be got if you let them come at you from above, and similarly you can't let the little guys (my daughter calls them the 'bunnies') come at you low. Exactly, and now I believe it's time to add the mouse to aim all around. I really truly believe it will be overall better. It works for the side scrolling game because it is a side-scroller. This game is no longer a side-scroller. I still don't agree with you. 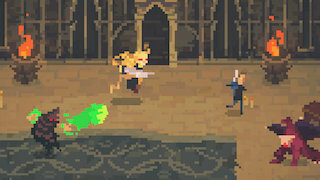 Mouse aiming is great for shooter games but I have my doubts about using it with hack and slash. As an example, you have the amazing Crawl, which uses the same principle of horizontal interactions but with vastly superior gameplay than DvsD. I grant you the hit boxes in the original version of DvsD have been rearranged to make it easy to hit monsters even vertically. So please give the latest versions a try. As always! Thanks for the comment.